Dragonfly Dreams of Your Special Day! Dragonfly Dreams of Your Special Day! 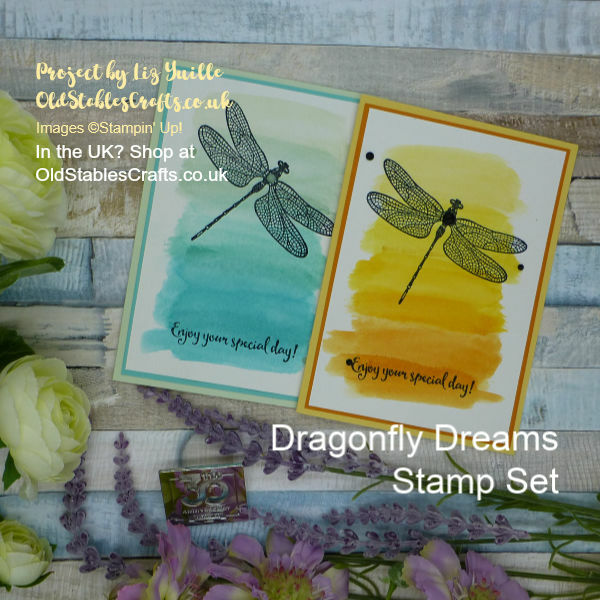 Dragonfly Dreams was one of the very first stamp sets I got during OnStage Prize Patrol. OnStage is held twice a year, and only Demonstrators are able to attend. They are a great fun event. We learn new techniques, receive some business training, and get Prize Patrol!! We all love these as they are a way to get our hands on new products early, and FREE!! Those of us who are in the Leader Group, are invited to an additional event, usually including a fantastic meal. We get additional Free Goodies as a Thank You from Stampin’ Up for all our hard work. We really are well looked after by Stampin’ Up! Why do I mention this now? Well in just over 2 weeks, booking opens for the next OnStage event, which will be held in November. This is likely to be a very special event as it is our 30th Anniversary. The excitement is already mounting. It is going to be a VERY Special day. Today’s card celebrates a Special Day, with the great sentiment ‘Enjoy your Special Day!’ It is really easy to reproduce in any colour scheme you choose. Using the Stamparatus, you can make as many of these as you want, really quickly. The background wash is done first and is just a few strokes with an Aqua Painter. The first card I made using bright yellow/orange shades. The second card uses cooling aqua tones. I used Shimmery White Cardstock as my base for the wash. This cardstock can take quite a bit of water without too much of a problem. If you have the time, leave the wash to dry naturally, otherwise, use a heat tool. I did the stamping in Tuxedo Black. Using the Stamparatus meant that I could re-stamp any areas that were no black enough first time. The final touch was to add some of the really pretty, opaque, Faceted Dots. Just enough ‘bling’ without being too much. And I love that sentiment, it is perfect for so many occasions. Enjoy your Special Day! Above all, don’t miss out on the Designer Series Paper Offer! You only have until 31st July to get 4 packs of selected Designer Seres Paper for the price of 3. 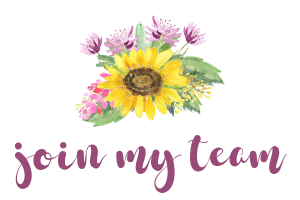 So, if you use the Code to share in the Hostess Rewards for this month AND become a VIP as well as earning Sunflower Rewards. If your order is over £150 (plus P&P), please don’t use the Hostess Code as you will get to pick your own rewards, but don’t worry, you will still become a VIP Reward Member. The Best Deal in the Catalogue. Only 4 more DAYS!! « Christmas in July Still!! !